Over the last decade, the global economic and strategic balance has been shifting eastwards. Asia is the largest and the most populous continent, with China and India alone already accounting for one-third of the global population. Asia is home to some of the world’s most dynamic and fastest growing economies, but also to some most complex security hotspots. 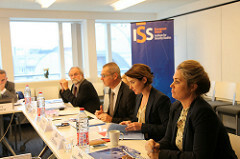 From tensions on the Korean Peninsula to maritime territorial disputes in the East and South China Seas, there are a number of issues which have the potential to spark more serious conflict. The rise of China is affecting the balance of power in the region, and has resulted in increased competition with the US for influence. This is also increasingly visible in the Indian Ocean, which has become a new theatre of strategic competition between China and India. While there are various multilateral cooperative mechanisms in the region, such as the ASEAN Regional Forum (ARF) or the East Asia Summit, their capacity to address such security issues remains limited. As a key trading partner of many Asian economies, the EU has a major stake in regional stability, as well as in the security of its Sea Lanes of Communication. Since announcing its ‘pivot to Asia’ in 2012, Brussels has been trying to step up its security role in Asia by boosting cooperation with its various Strategic Partners, as well as through existing multilateral fora. 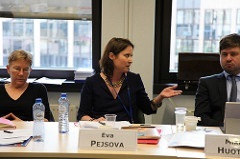 The EUISS has been working to support these efforts by providing relevant expertise and analysis and conducting research in domains that have the potential to enhance regional stability and raise the EU’s security profile. Key areas of focus are maritime security and governance, preventive diplomacy, confidence and capacity building, crisis prevention, multilateralism, regional integration and institution building. 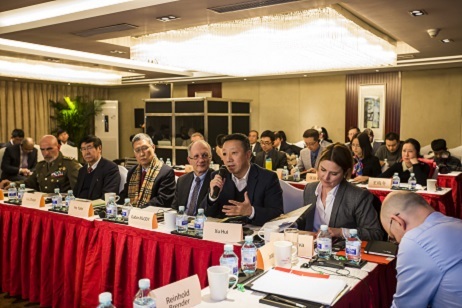 The third and final meeting of the 'Chinese Futures Task Force' focused on China as a global actor. The meeting discussed China’s engagement within the international system, namely its interactions with other global powers, its role in global governance, and the future of EU – China relations.